The 2017 Big Shift is reaching a climax. The ‘Ascension Process’ has arrived. Many are waking up and wising up. And authentic power is rising up. New revelations come with discernment. Some are getting it – the ascension thing. Others, not so much; paradigm paralysis. Independence from power elite tyranny. If you haven’t noticed the accelerated rate of change in the world at large, you haven’t been paying attention. Or maybe you see it as the justice that just is. Or just put it in the “can’t change it anyway” box. Ascent devotees prefer change through a process that involves and evolves awareness of HOW we are conscious - the language of light as consciousness. Left-brain dominant ascent devotees - who 'feel via thinking' rather than 'think via feeling' - can benefit from a universal frame of reference for Geometric Ordered Divinity - the G.O.D. code. This is the code for Heartware - the high touch high-tech Web 3.0 platform for networking with more heart; the next generation of the computer/Internet revolution. This is the genesis of the Next Economy - the heart of net worth. Abundant Conscience leads to an economics of abundance as we upgrade 5 core Constitutional freedoms at the heart of the Republic. That's how we culture the 'light body' of collective Net reality in the personal and planetary holodeck - a real time, mass to mass social commons like an interactive town hall meeting with thousands or millions of Netizens interacting at the same time via a "universal interface" (Heartware). 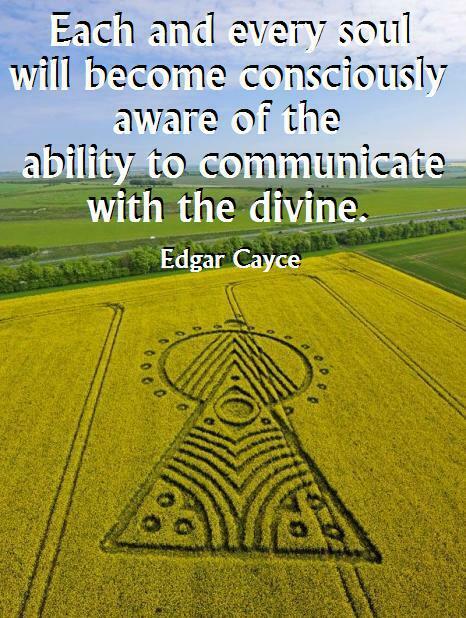 This ascent process empowers wisdom with heart; a unified field of higher 5D Conscience. This is the natural evolution of conscientious common sense in global social networks. Universal interaction with global ‘TeLeComm’ will emphasize TLC with a common frame of reference for the whole, holistic and otherwise holy spirit of -in-action. That’s the Good News for global Netizens who are ‘ascent devotees’ – the 1-3% of cultural creatives whose sphere of influence is the 20% who do 80% of the networking in social networks. Now these Netizens can network for TLC Net worth as never before. That’s how these evolution revolution revelations will eventually win. A new Net reality is emerging and the real heroes are raising the flag for all of ‘US’ as United Sovereigns of Earth. Call them luminaries or lightworkers or just ‘servant leaders’. These are those with ‘enlightened Self-interest’, realizing that service to others is serving one’s larger Self… to serve souls who came in for this purpose… to MODEL personal and planetary ASCENSION… to BE the ascent we want to SEE…and MATCH the frequency of the Universal Sovereignty wanted. 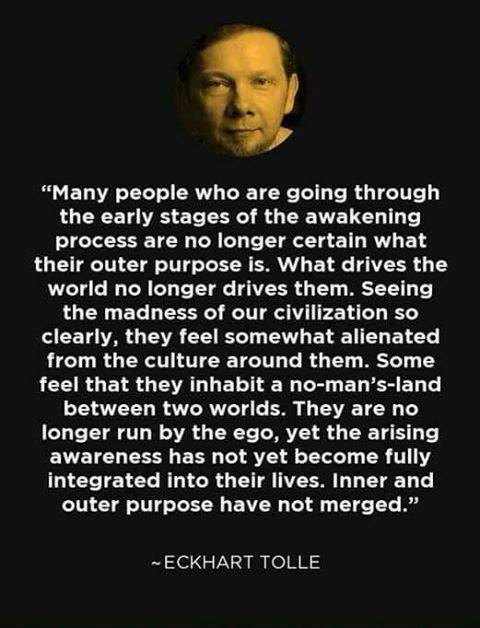 Of course, the vast majority are not even aware of the Ascension Process. The Deep State’s ‘matrix media’ certainly never mentions it. In fact, the wising up and rising up of our collective Conscience with enlightened Self interest is the greatest fear of the corporatocracy running the self-serving Deep State collusion of Big Government with Big Banks, Big Oil, Big Pharma, Big War and Big Media extensions of a Big Brother surveillance agenda. That’s a ‘Big Mess’ – the ‘swamp’ of cabal critters who are the antithesis of ‘ascension’. That Deep State is the source of fake news. It’s the source of social engineering with false flags. Same source of weather engineering with chemtrails. And a domestic depopulation agenda with fluoride, GMO’s, and vaccines. Same cabal source. That’s the bad news. This publication is free for your enjoyment THANKS TO reader support of UltraMedics. If you can’t afford to get sick, get a health assurance policy. Fill your health tank. Put reason into the season by thinking of a relative or dear friend who needs a health boost and would appreciate the lift. Consider how optimal health IS wealth, and an ounce of prevention is still worth it. YOU are worth it. Your optimal immune system is your best health assurance policy for preventing or managing debilitating disease. When optimizing the immune system with the holistic synergy of three leading immunity supports - the Super-Immunity Combo - the overall benefit is huge. So keep in mind the Good News. See the upside while others struggle with the downside. You can optimize your health to ride the ascent wave all the way home… maximizing your service to others in the process. The upward-mobile ascension ‘currency’ begins with your vital force – your ‘light body’ – and care for your physical body ‘temple’ of the living spirit of love that is for giving… not for getting. and the importance to ‘make it so’. Imagine what social conscience will look like when the Ascent Process is integrated in our ubiquitous social networks. Consider the VISION – how that will work to define, refine and shine 5-D Sovereignty Conscience. As we become more conscious of HOW we are conscious - the process defined via heartware - there will naturally evolve a process for moving forward with conscientious evolutionary ascent of our individual and collective sovereignty... with a 'Conscience'. The world-wide web has enabled massive enlightenment of billions of web-connected Netizens who have already - in their hearts - claimed the victory of personal and planetary sovereignty as a healthy, holistic, holographic and otherwise holy WHOLE - The United Sovereigns of Earth. A 'Unity State' - globally - is a powershift that parallels formation of the United States in 1776. Economic reset was and is the driving force. Thomas Paine sparked the American Revolution with Common Sense, and a new Unity Sense is emerging with the Big Shift to 5-D Conscience. It is the Currency of Conscience that will initiate the Next Economy with the Ascent Process. Ascent ‘currency’ is a bright light that casts a dark shadow – virtually the judgment on “BS” (Belief Systems) which are the cause of THE CRISIS of encroaching tyranny from the top. Most of us are now aware of the Deep State ‘shadow government’ that operates in the dark with psychological black-ops of deceptive divide-to-conquer false-flag trauma that rivets our attention to government narratives that would have us surrender freedom for security until we have neither. Wise old Ben Franklin warned us. That’s the ‘Bad News’. It’s still going on. There’s plenty of shock and awe to go around these days, ranging from weather disasters and mass shootings to war propaganda and geopolitical chaos. The uptick in crisis is making people crazy, and Big Media plays on public fears to bond our emotions to drug products for whatever ails you, or whatever they're selling – tyranny itself – for "national security" of course. Technology, like money, is not intrinsically evil unless they both combine with an agenda of tyranny via corporatocracy plutocrats, autocrats, technocrats and bureaucrats – the cabal ‘matrix’ – that is self serving for the profit of Big Business, NOT the public at large. That’s what corporatocracy does at the expense of democracy. The super rich get super richer and then buy off legislators to give giant tax cuts to the same corporatocracy that has hijacked democracy. But that’s old news. The Supreme Court gave ‘personhood’ to corporations almost seven years ago. Now their agenda is in our face. because it merges state and corporate power." This is THE CRISIS at cause and core. Sovereignty is THE ISSUE. Either we own our own lives or we are slaves. For many generations, "T.H.E.Y." (The Hierarchy Enslaving You) has owned the banks and mega-corporations which secretly control corrupt governments in the global corporatocracy. That cabal of power elite potentates has relied heavily on a few crucial dominoes in the chain of cause and effect. But those dominoes are falling. Shift happens! by reference to First Principles”. As the light increases, the veil is now thinning. As density dissipates, take heart with grinning. Disruption of corruption is of course expected. But ascension’s momentum is finally winning. It’s an interesting world that has evolved. from the abyss and take the path of wisdom." yet the challenges have never been greater. stuck in fear, doubt & negativity in general. 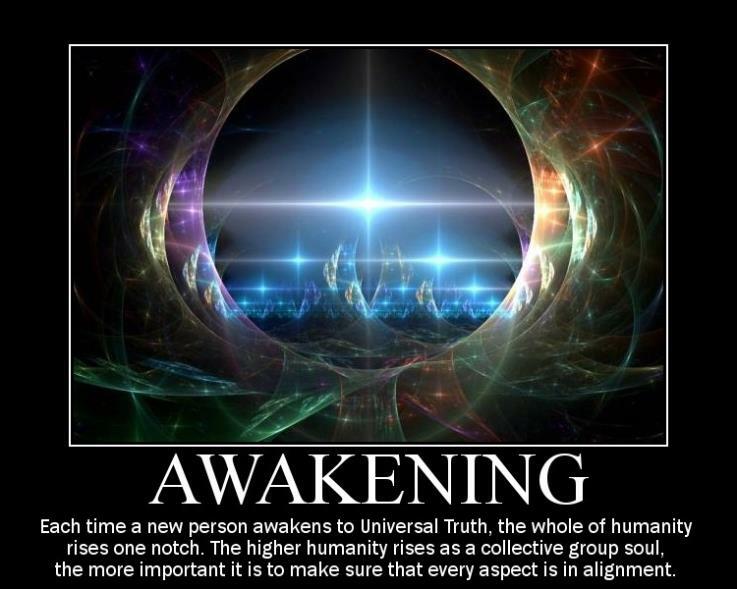 to awaken power with wisdom and love. As mass alignment integrates, mass illusion disintegrates. The future is in flux. 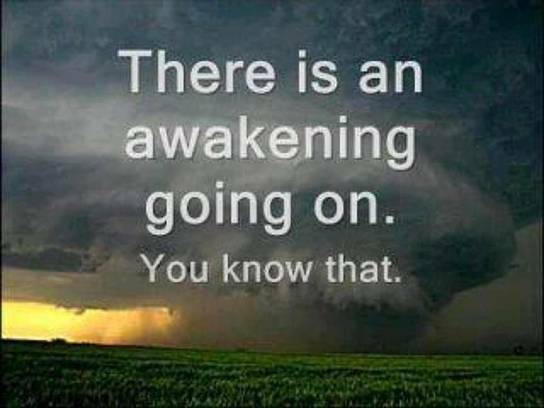 Mass awakening is quickening. Enlightenment in social conscience is integrating. Fake news and mass delusion are disintegrating. Systemic disruption of corruption is accelerating. Clear direction under the prime directive is urgent. - Network with Valor to ‘Make it So’. - And claim the Victory of Ascension. rogue agenda of population control and reduction. TLC Application address the problem and solution. to manipulate the mass media and ‘global mind’. with vision, virtue and valor IN THE PROCESS. sovereignty on Earth as in ‘heaven’ (universe). : Integration of knowledge via . : Comprehension of a 5th dimension. : Holistic healing process integrated. Bottom Line? The Creative Ascent Process. Put on your conscious evolution CAP. the edge of its destiny. experience decline and possible destruction. This is an unavoidable confrontation.